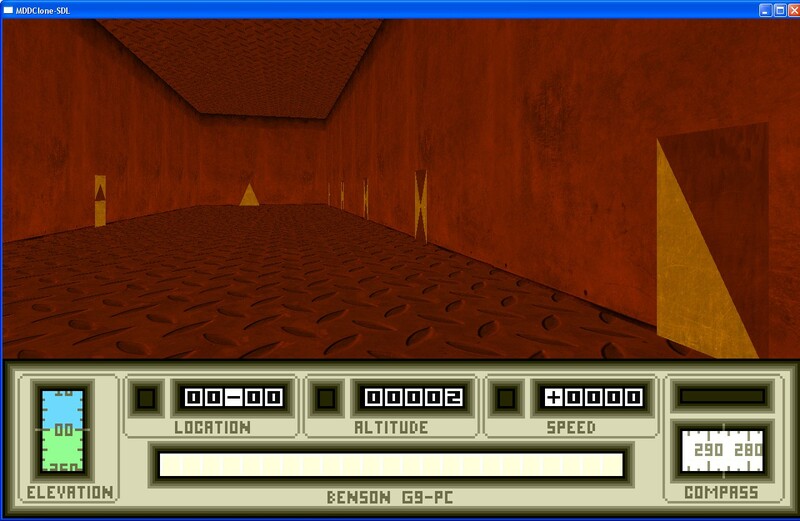 MDDClone-SDL is an SDL port of Mercenary, based on original games that were written by Paul Woakes and (C) 1986 Novagen. 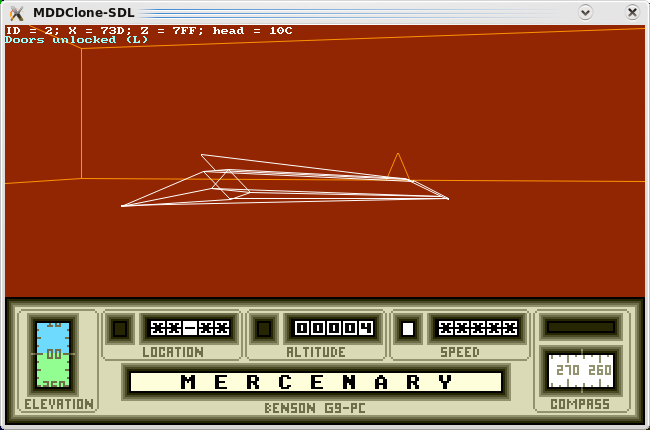 Currently, only Mercenary I: Escape From Targ and Second City (Mercenary I mission disk) are supported, but there are plans to extend the port to support Damocles and Dion Crisis. 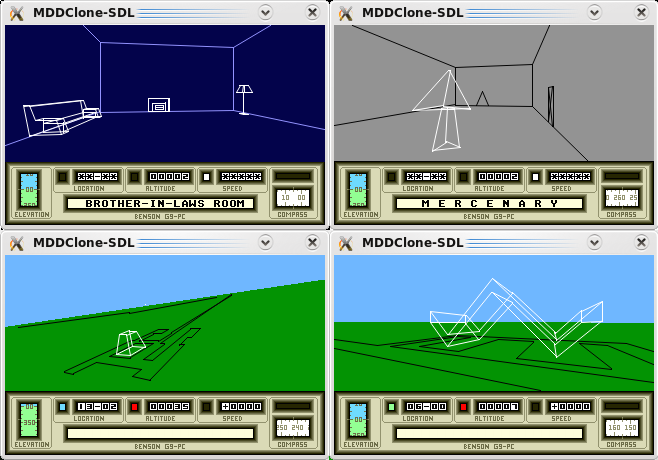 Although MDDClone-SDL is a closed source game due to copyright restrictions, all platforms which support SDL and nasm output are ultimately targetted, depending on available time. Initiative not associated with Psygnosis and/or Sony. 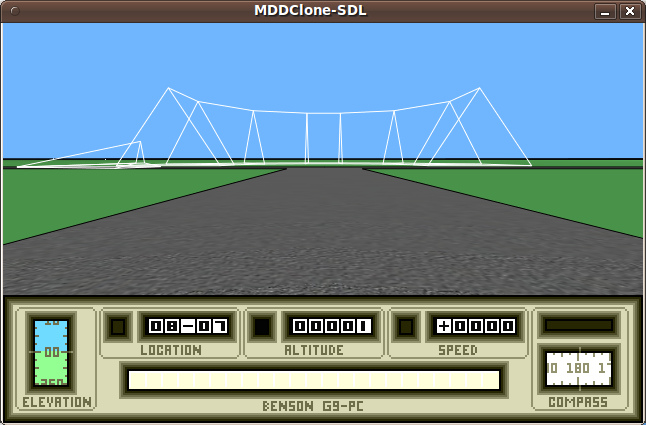 MDDClone-SDL comes in two versions: software rendered, and hardware rendered. 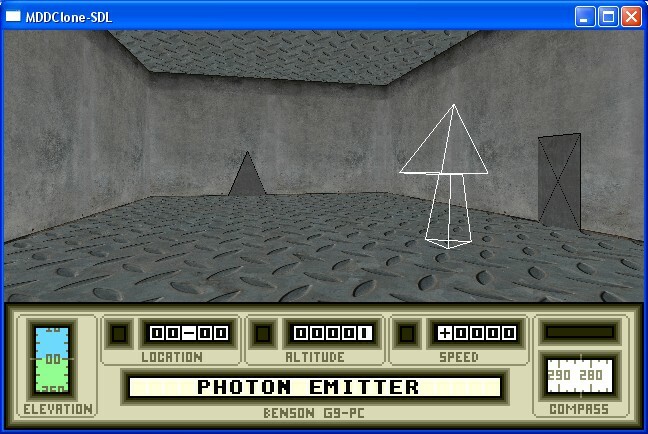 The software version (mddclone-sdl-gfx) looks just like the original with small enhancements, while the hardware version (mddclone-sdl-ogl) aims to add new eye-candies to the game. MDDClone-SDL is available in 9 languages: English (default), Danish, Dutch, French, German, Greek, Hungarian, Italian and Polish. Thanks to all the translators! (hey, no problem!). You can select the language, as well as other options, either by using the Launcher program inside the archive, or commandline parameters. 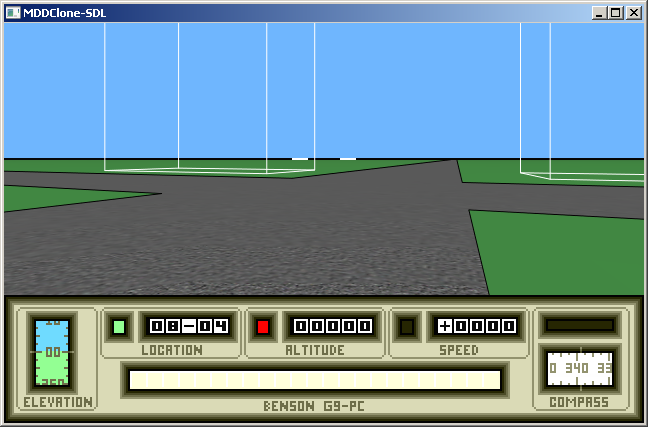 To invoke in-game menu, press Escape. Inside, in the main menu -> Help, you can learn the game's keyboard layout, but a full list of keys, including some neat new walking features, can be found inside doc/MDDClone-SDL EN Keys.txt. Double click on the game archive to untar it, enter the newly created directory and double click on the launcher program. Third minor release for Mac OS X, GNU/Linux and Windows: 23.3, is out. 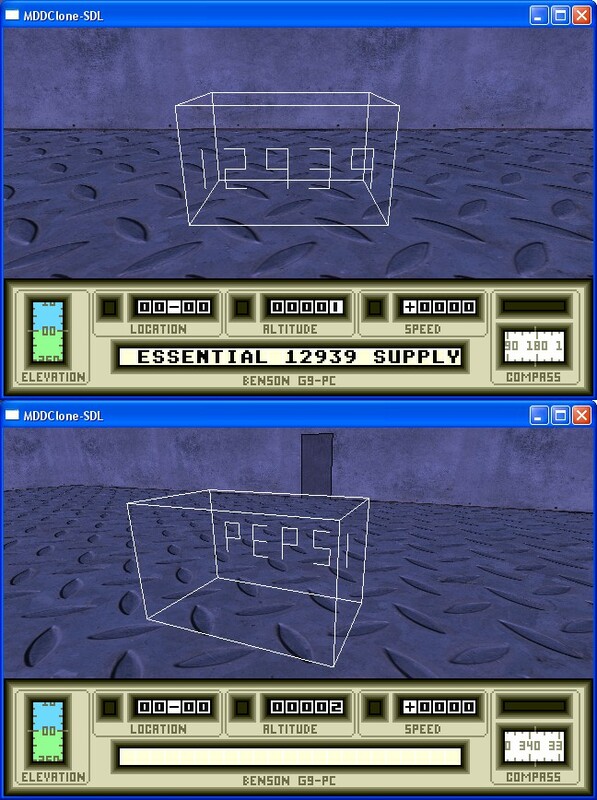 There's a new feature in all of them - Frameskip for OpenGL version. 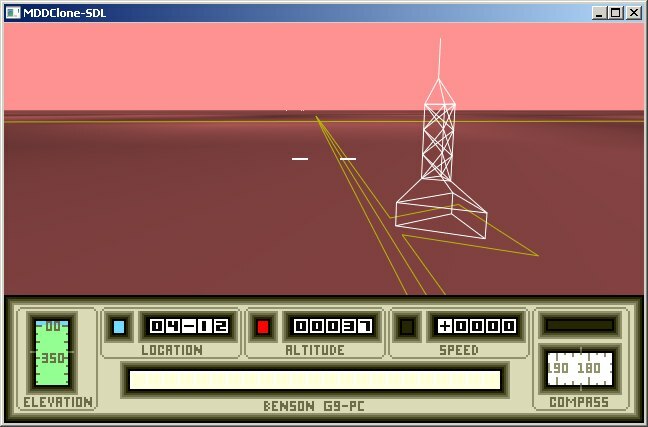 It allows you to run the game on machines that are too slow, or have too poor OpenGL support to run the game smoothly. 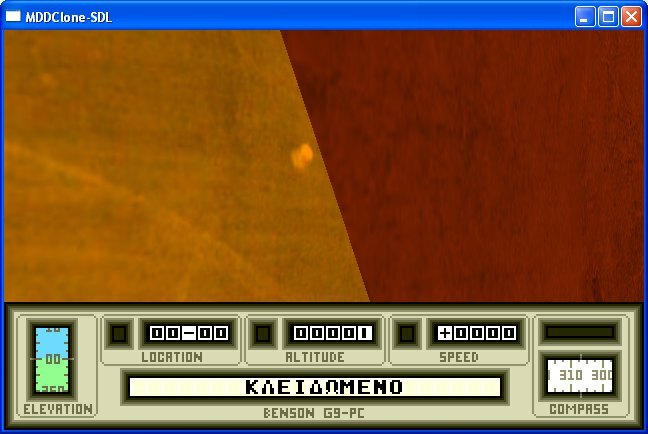 The frameskip can be enabled from the Launcher and from the in-game menu (Options->Video). Second Mac OS X release: 23.2 is out. 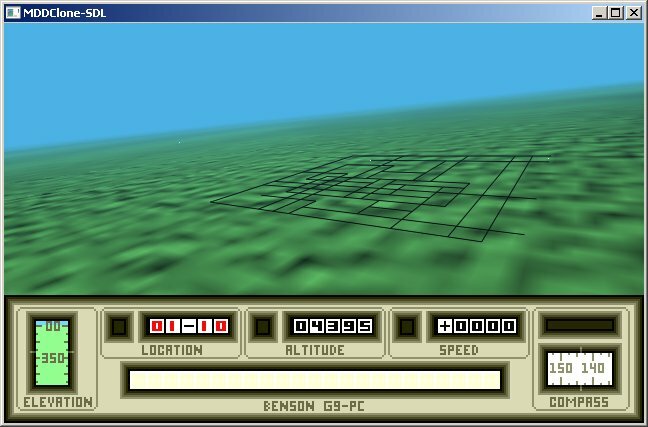 Along with the software version, it also contains the OpenGL version and the Launcher. Please test it out and report back on our BBS, just to tell if it works. First test release 23.1 for Mac OS X Intel is out! Only software rendering is currently supported, and Launcher is yet unavailable. FreeBSD release 23 now contains game launcher linked against GTK libraries as they are available on both FreeBSD and PC-BSD. 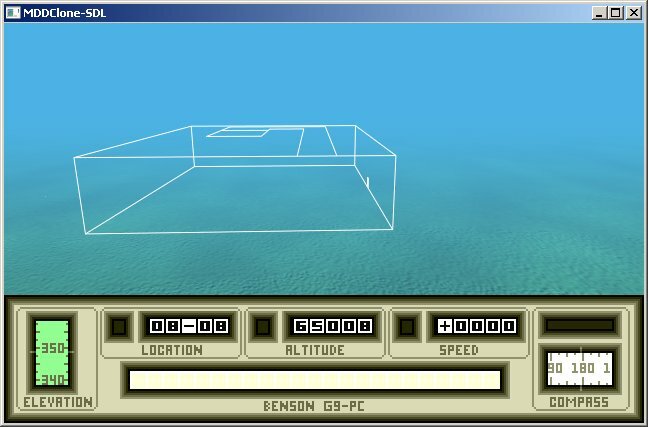 Techdemo 23 for GNU/Linux and Windows have been released. Techdemo 22.1 for FreeBSD 32 and 64-bit and PC-BSD 64-bit has been released. Other BSDs weren't tested. 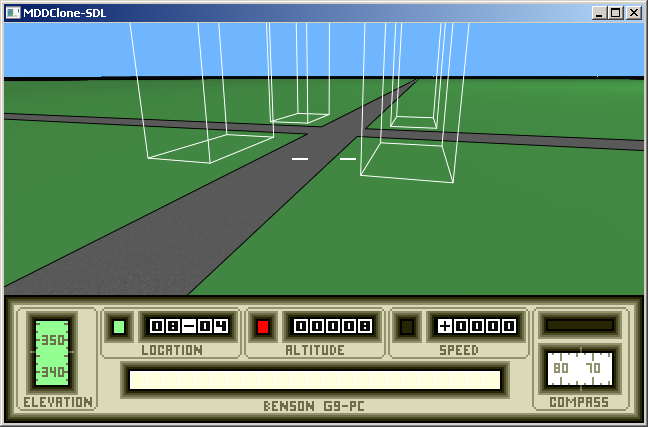 Techdemo 22.1 for Windows and GNU/Linux have been released. Greater amount of distros is supported now, and sound issues have been resolved. The bad news (for you and the project) is that I'm continuing my studies while working so I won't have as much time to work on this project as I had so far. This will build the launcher executable, and put it in game's main directory. After this step, refer to the Running the Game section. 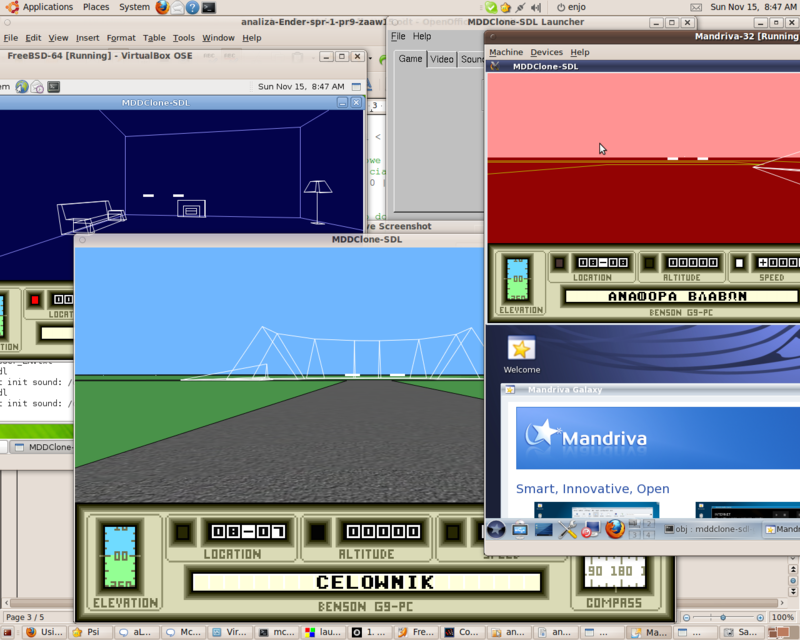 SDL, SDL_mixer, SDL_gfx, SDL_image, jpeg, png, Ogg, Vorbis, OpenGL, glut, wxWidgets (launcher). If you have any feedback, then please use either Mercenary BBS (no registration required) or e-mail me directly. My e-mail address, as well as MDDClone Author's, are inside the docs, but please rather e-mail me, because I have more time.